SentryOne helps companies accelerate performance across the data lifecycle with unmatched scalability, industry-leading customer support, and the most powerful data DevOps and database performance monitoring capabilities available for the Microsoft Data Platform. An easier way to build, test, document, and monitor Microsoft applications. Building high-performing data-centric apps—and keeping them running at peak performance once they're in production—is a challenge. Many of the steps can be tedious and time-consuming from a development perspective. Ensuring data integrity throughout the process is difficult, particularly if your ETL processes are faulty. Documenting SQL Server databases is notoriously tricky, particularly in large corporations where data is changing constantly. And ensuring high performance of production databases requires a careful balance of monitoring and fixing daily performance problems as well as future capacity planning. SentryOne helps organizations simplify building, testing, documenting, and monitoring applications to accelerate the delivery of business-critical operational and analytical data. Ensure data integrity and optimize performance during and after migration to Azure or AWS. Use high-performing SSIS components to access data stored in cloud platforms, including any REST-enabled data source. Automatically document SQL Server, SQL Server Analysis Services (SSAS), or SQL Server Reporting Services (SSRS). Easily track data lineage to ensure compliance with GDPR, CASL, and other regulations. Automatically test data and validate production results. Monitor enterprise data estates with proven scalability and no loss of data. 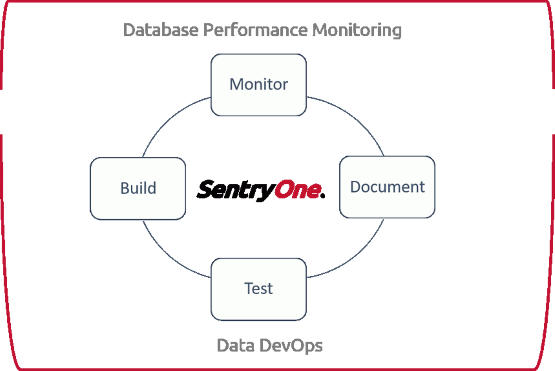 SentryOne is being used to monitor SQL Server performance across our entire organization, providing trending, alerting, and helping us solve the "death by a thousand cuts" types of issues that are more of a challenge to pinpoint. Ready to make your data go faster?